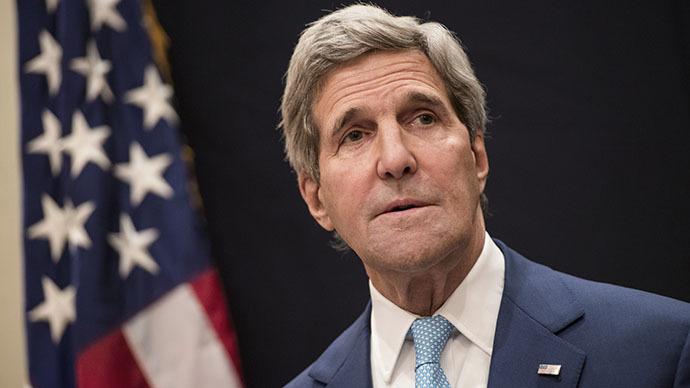 US Secretary of State John Kerry said Washington is “not responsible” for either the crisis in Libya, or violence in Iraq, where militants of the Al-Qaeda offshoot group ISIS are capturing cities one by one. "The United States of America is not responsible for what happened in Libya, nor is it responsible for what is happening in Iraq today," said Kerry at a press conference in Cairo after a short visit to Egypt for talks with its newly elected President Abdel Fattah al-Sisi as part of his Middle East tour. Speaking on the fallout of the crisis in Iraq, where radical Sunni militants – an Al-Qaeda splinter group the Islamic State in Iraq and the Levant (ISIS, also known as ISIL) – are capturing Iraqi cities one by one and pushing away government forces from strategic posts, Kerry urged the republic’s authorities to overcome sectarian considerations and restrain the extremists. "ISIL … it’s an ideology of violence and repression, is a threat not only to Iraq but the entire region... this is a critical moment when we must urge Iraq's leaders to rise above sectarian considerations... and speak to all people," Kerry said at a media conference. 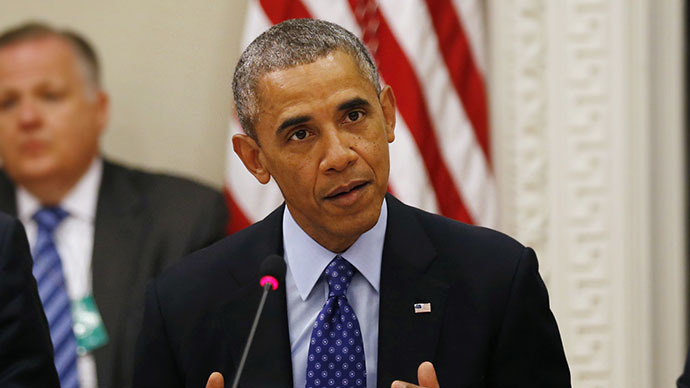 Amid the growing insurgency threatening the Iraqi government, President Barack Obama said Thursday that up to 300 additional American military personnel will head to Iraq and assume an advisory role. In turn, Iran's Supreme Leader Ayatollah Ali Khamenei accused Washington on Sunday of exploiting the violence to regain control of Iraq putting the republic “under its hegemony” and rule of “its stooges,” he was quoted as saying by IRNA news agency. Kerry rejected these claims saying that the "US is not engaged in picking or choosing any one individual... it's up to the people of Iraq to choose their own leadership." "The United States shed blood and worked hard for years for the Iraqis to have their own governance... but ISIL crossed the line from Syria, began plotting internally. They have attacked communities and they are the ones marching through to disrupt the ability of Iraq to have the governance it wants." 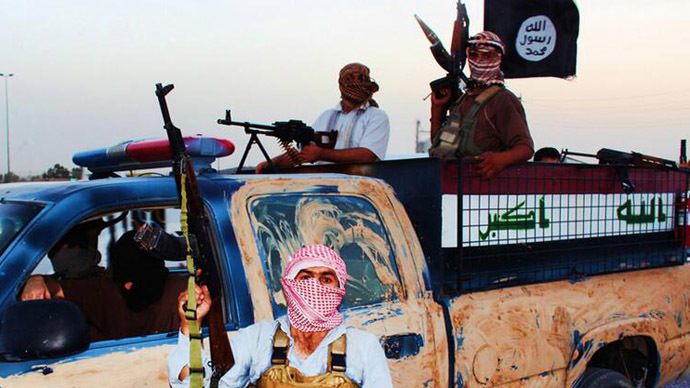 ISIS is focused on achieving total dominance in Iraq by the ongoing rampage aimed at seizing the capital Baghdad. 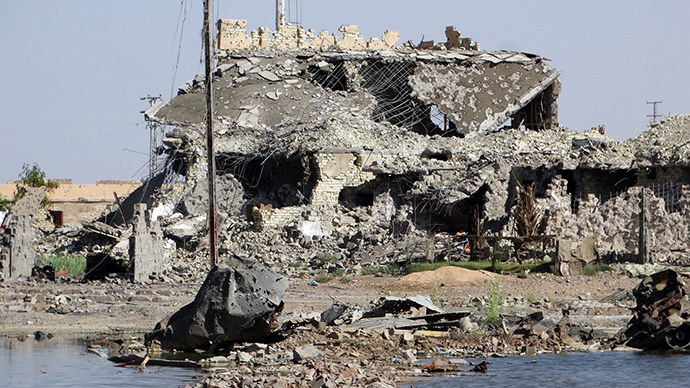 The radical Sunni militants which proclaimed themselves ISIS in April last year have been kept under control by the Arab republic’s government between the initial sectarian strife that broke out following the US-led invasion in 2003 and the American military withdrawal in 2011. 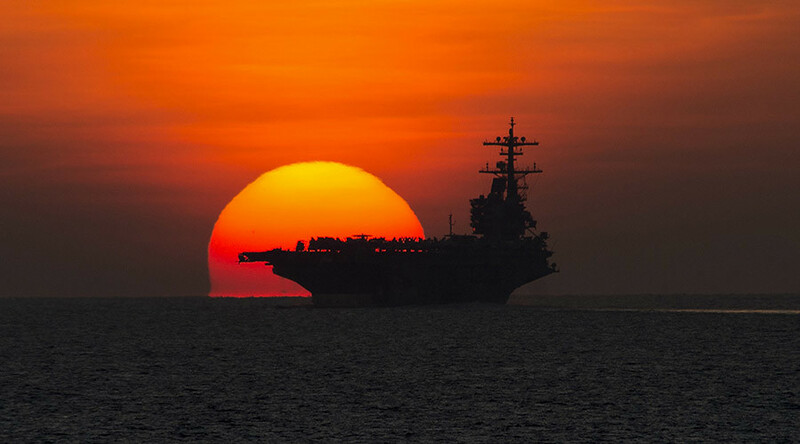 On March 20, 2003 the United States opened a military offensive against Iraq under the pretext that the Baathist government of Saddam Hussein was harboring weapons of mass destruction - claims later found to be false. From March 2003 to mid-2011 an estimated 460,000 deaths were caused by violence during the war and occupation by the US and allied forced, statistical research published in PLOS (Public Library of Science) Medicine journal published in October 2013 revealed. 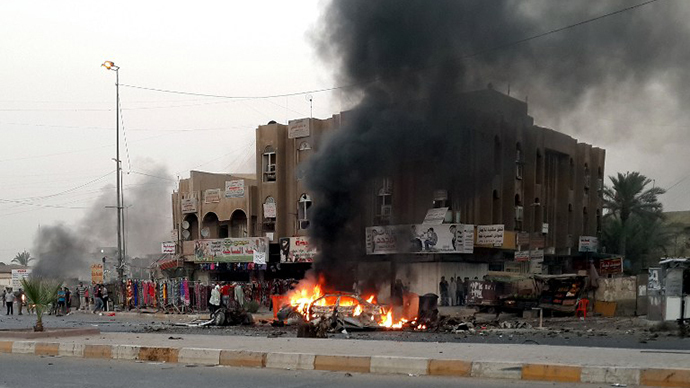 Following the withdrawal of US troops, Iraq has been plunging deeper and deeper into sectarian strife mainly between the country’s majority Shiite community and the Sunni minority. The war in bordering Syria that began in 2011 prompted even more violence in the region with radical militants receiving a wave of fresh members and growing funding. 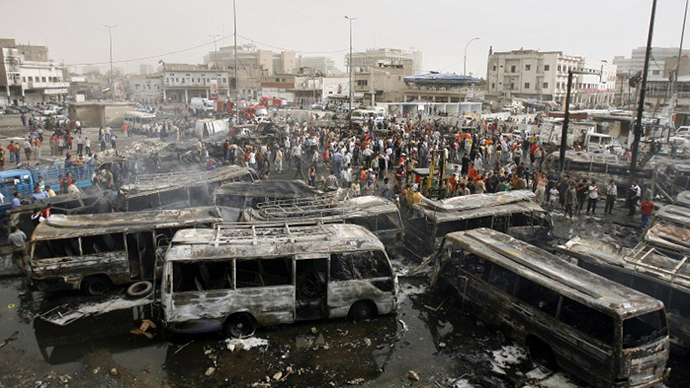 2013 became the bloodiest year in Iraq since 2008 with over 7,000 civilian victims. The UK’s former Prime Minister Tony Blair who joined the US in its diplomatic offensive and offered support in the form of British troops in 2003, now puts the blame for the destabilization of the region and the rising of ISIS on Iraqi authorities. “We have to liberate ourselves from the notion that ‘we’ have caused this. We haven't. We can argue as to whether our policies at points have helped or not; and whether action or inaction is the best policy and there is a lot to be said on both sides. But the fundamental cause of the crisis lies within the region not outside it,” he wrote in his essay entitled 'Iraq, Syria and the Middle East' in June. 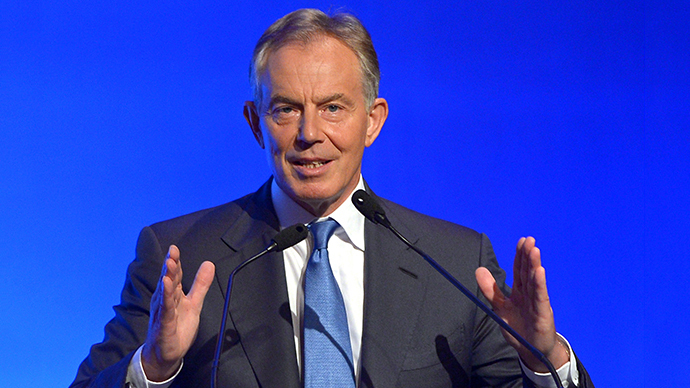 “Islamist extremism in all its different manifestations as a group rebuilt, refinanced and rearmed mainly as a result of its ability to grow and gain experience through the war in Syria,” Blair explained.